Along the East-West Highway and interstate highways of Malaysia, one can find many fruit stalls selling various kinds of local fruits. As a fruit lover, I love stopping at these stalls in order to pick out my fruits-du-jour while traveling. There is no better way to tantalize the taste buds than to spend time here. While these stalls are basically simple wooden sheds, they usually carry the freshest, most organic fruit in Malaysia. Often the fruit stalls are run by owners of local orchards and are not large commercial operations. Nothing against “Corporate Farm Capitalism” (how else could I eat oranges out of season grown half-way around the world) but only at these Mom-and-Pop stands is one assured to find the best selection of fresh, mouthwatering tropical fruits. 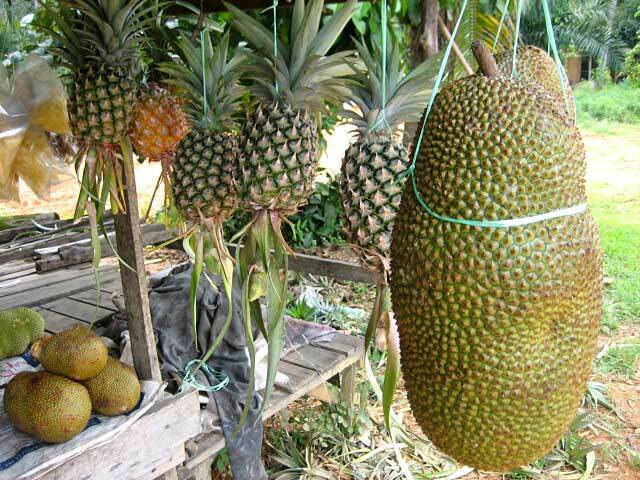 Same family as Jackfruit, Cempedak is native to countries like Malaysia, Indonesia, and Brunei. The best way of eating Cempadak is to have them battered in flour and deep fried to golden brown. The seed is edible and the flesh is slightly sticky but absolutely tasty. Petai or stinky beans are best when cooked with sambal and shrimp. The said dish is classic Malaysian. These are Buah Rambai and they were my grandmother’s favorite. They taste like Langsat, but slightly on the sour side. 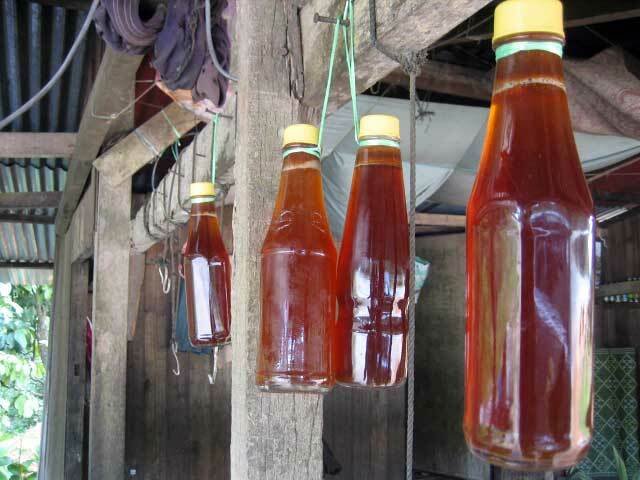 Honey harvested from local orchards and villages; pure and organic to its very core. Remember to stop by these fruit stalls the next time you are on the road. Trust me, it’s fun! Honey from the orchards or farms are always the freshest and nicest. very pure. Definitely fun ! 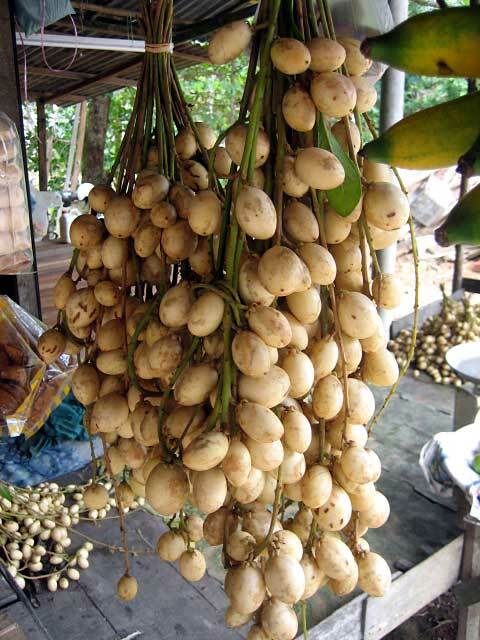 I used to scourge round kampongs( Ulu Langat,Selangor & the trunk road KL-Ipoh ) for durians,rambutans etc. We will try multiple stalls and fruits just for fun ( also bcoz they r cheap in the kampongs ). I also had great fun soaking in the rainbow coloured durians of Balik Pulau hills ! It can’t get more healthy than this ! Hi, that buah Lam Lay, we call it buah rambai. You know that when you eat rambai, you have to eat with the seed unlike langsat. It’s hard not to swallow without the seed. Hey, how come no picture of my fav manggis (mangosteens)? Thought they always go together with durians? 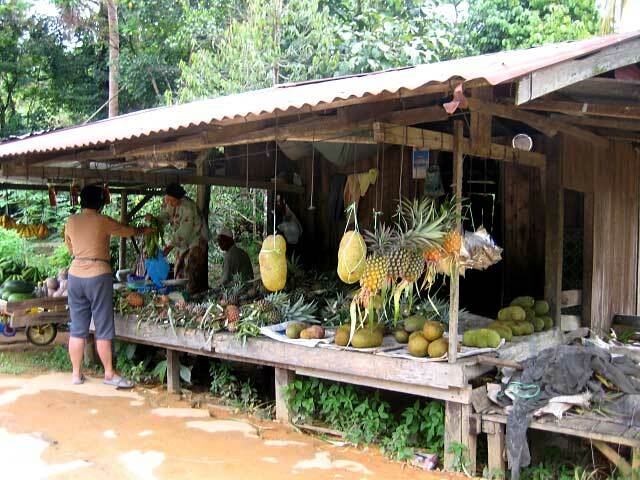 Toni Xe – yes, Balik Pulau is a lot of fun with fruit stalls, durian orchards, and other farms. Flower – thanks for telling me. You see, my late grandmother pronunciation is not exactly correct, so we always call them Buah Lam Lay instead of Buah Rambai. I guess it’s kind of close. LOL. Tummythoz – no I didn’t see any durians or manggis at the stall. Maybe they were not in season?! 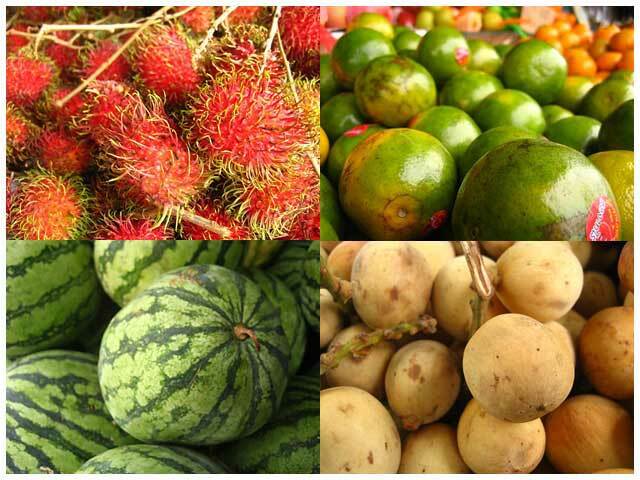 Love your buah rampai shot … beautiful bunch! It has been a long while since i had rambai. 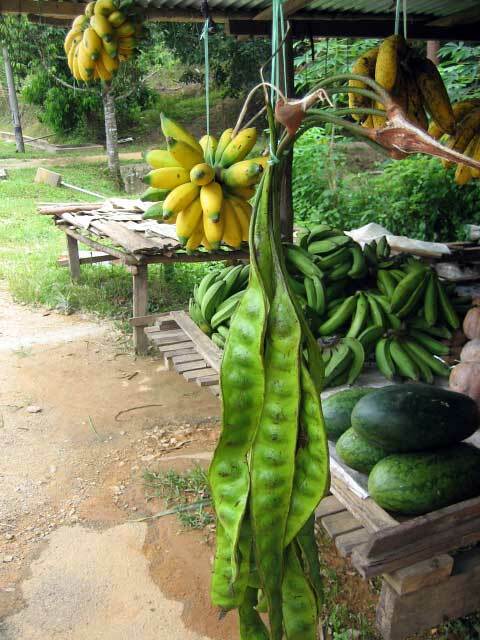 During my time in the kampung somewhat 20 years ago, i use to enjoy the fruit. 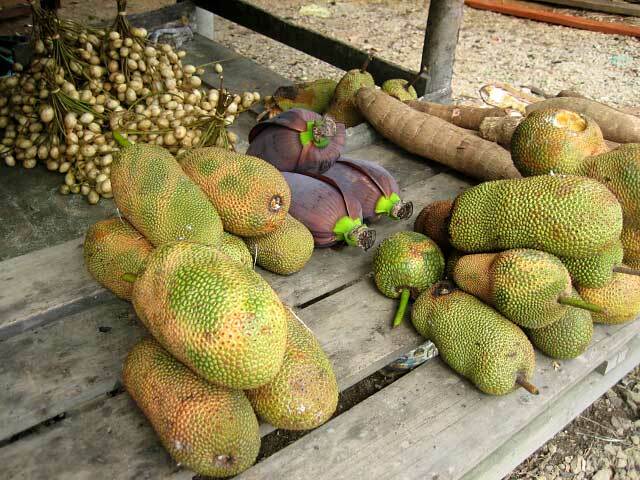 Can anyone tell where can i get this rare exotic fruit in KL or anywhere near. Its seems everything is king-sized there! Cool guys i loved it. Thanks man fo sharing it. 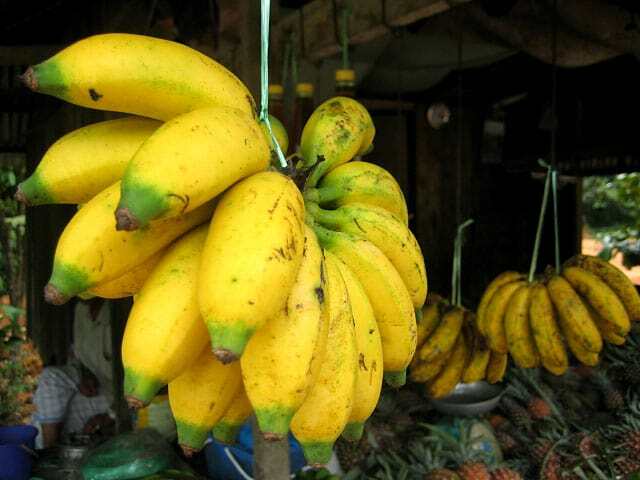 …cool..those fruits are also found here in the Philippines…and i’ve eaten all of them..